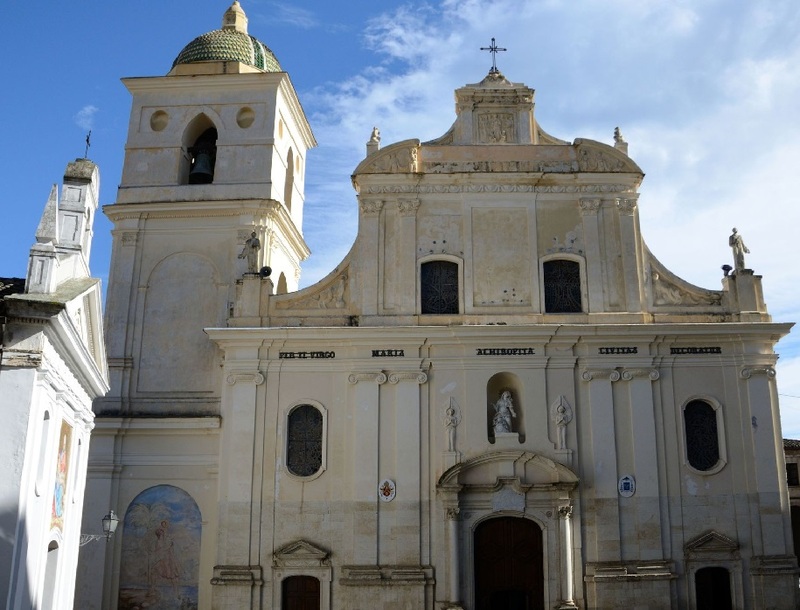 Rossano is a comune in the province of Cosenza, in the region of Calabria, in a area known as the "Sila Greca" . 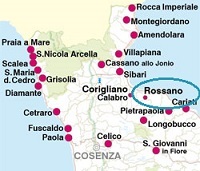 It was known as Roscianum under the Roman Empire and as one of Calabria's impregnable fortress. The Goths of Alaric I and, in the following century, Totila, were unable to take it. The Saracens also failed to conquer Rossano, while in 982 Otto II captured it temporarily from the Byzantines. Its Greek character was preserved long after its conquest by the Normans, as noted by its long retention of the Greek Rite over the Latin Rite. The city in fact maintained notable privileges under the subsequent Hohenstaufen and Angevine dominations, but subsequently decayed after the feudalization in 1417. The Rossanesi showed great attachment to the Byzantine Empire, whose local strategos had his seat here. 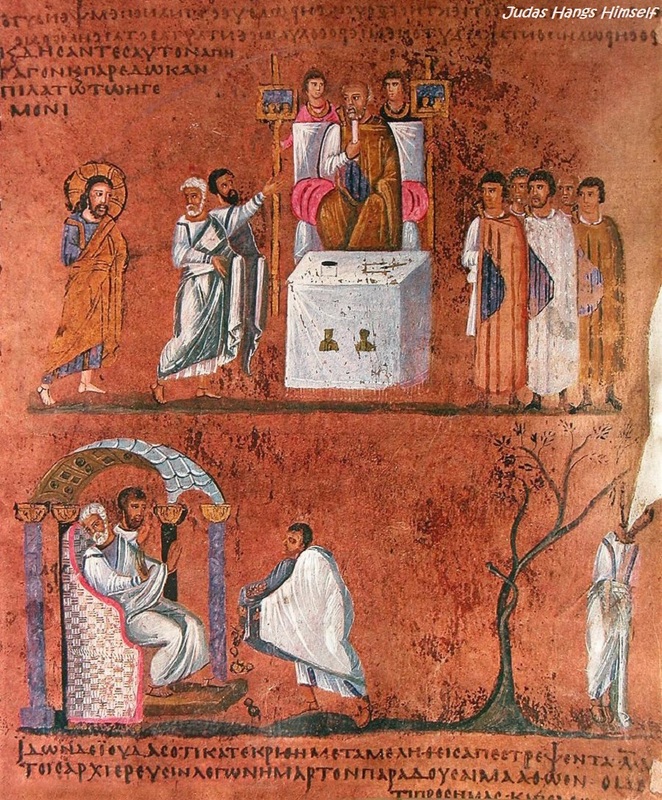 The Rossano Gospels, a 6th Century illuminated manuscript of great historical and artistic value, is a tangible relic of that period. 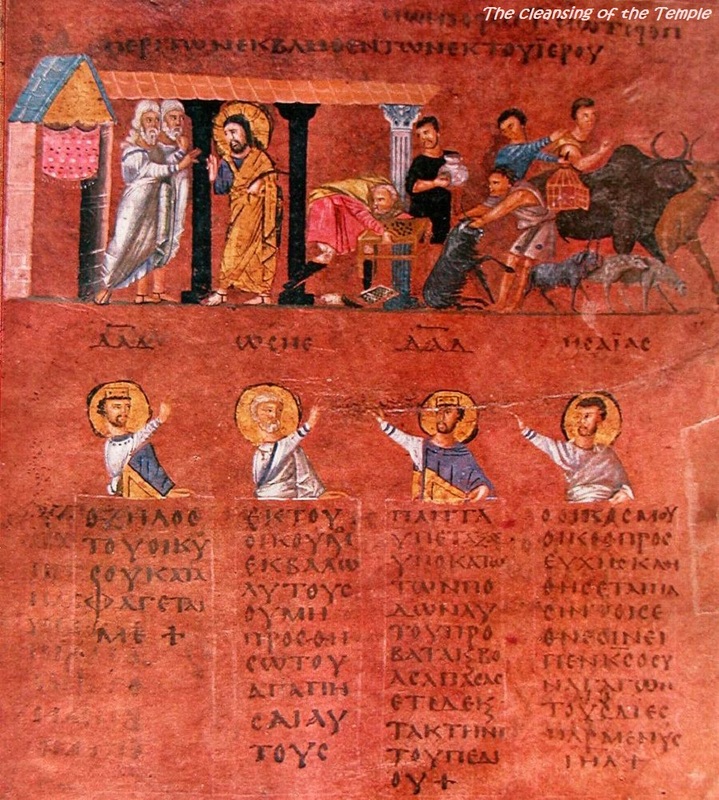 The Codex Rossano Gospels is a 6 th century manuscript written following the reconquest of the Italian peninsula by the Byzantine Empire. 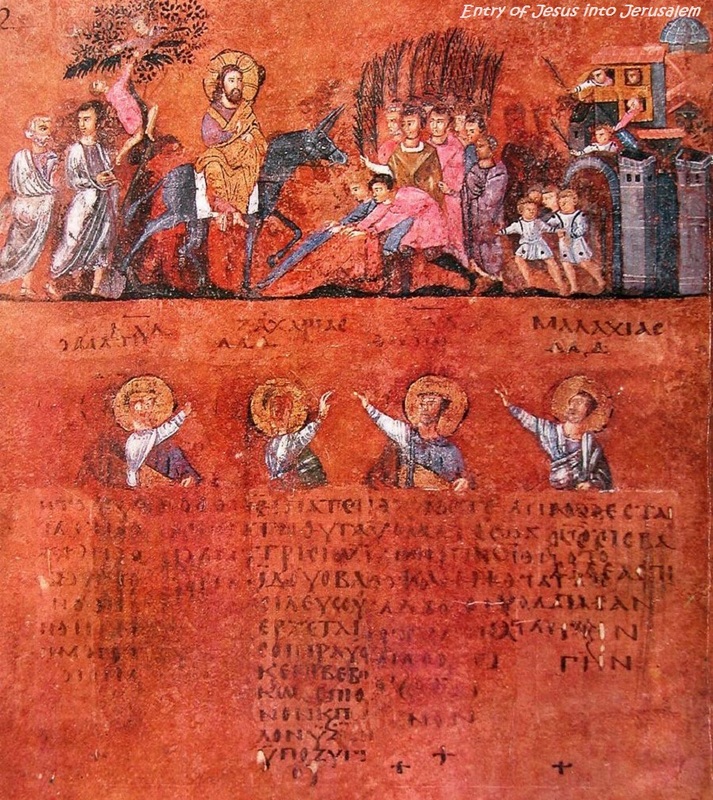 Also known as Codex purpureus Rossanensis due to the reddish (purpureus in Latin) appearance of its pages, the codex is one of the oldest surviving illuminated manuscripts of the New Testament. 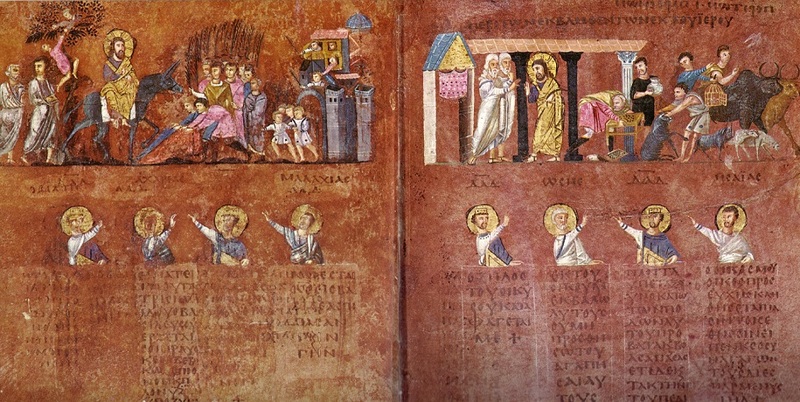 The manuscript is famous for its prefatory cycle of miniatures of subjects from the Life of Christ, arranged in two tiers on the page, sometimes with small evangelist portraits below, pointing up to events they describe in their gospels. Most of the experts, basing themselves on the style of the manuscript, for the dating, agree on a period between the IV and the VI-VII. century. The most substantiated century is the VI. 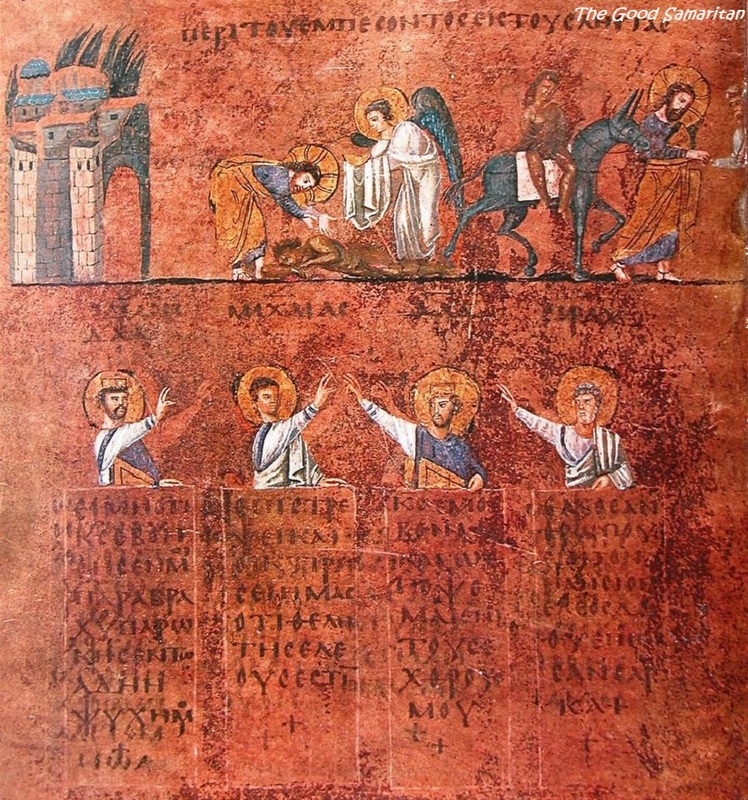 From the comparison with other two artifacts of the same period, of uncertain location, we can deduce that probably the Codex was made in Syria, maybe in Antioch. 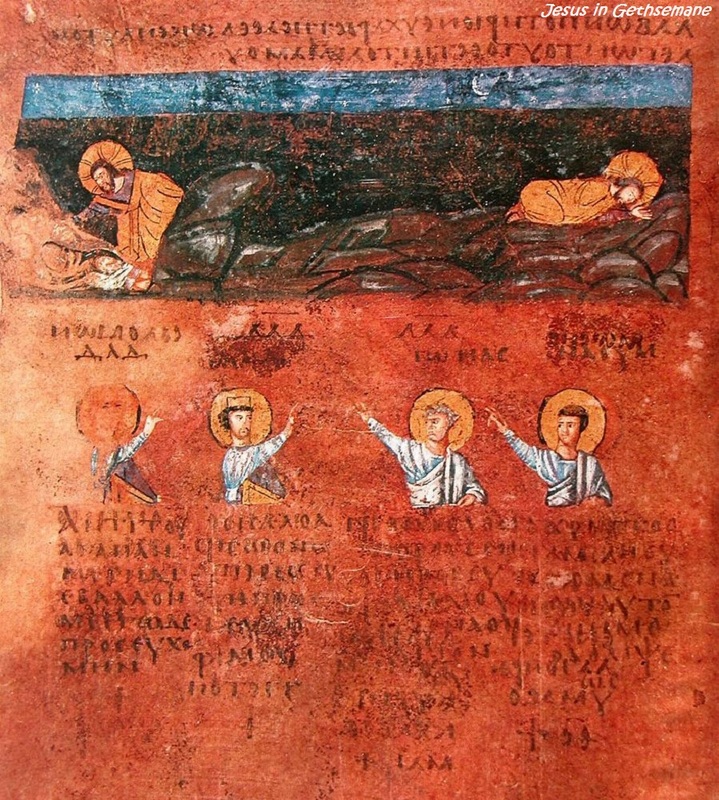 It is assumed that the migratory wave of the Eastern Greek monks of the VII c. , because of the first iconoclasm, led to Rossano a group of monks who kept the Holy Text. But also a noble aristocrat might have brought it to Rossano from the court of Byzantium. The text was mentioned for the first time in 1846 by journalist Cesare Malpica and was scientifically studied in 1879 by the German Oscar von Gebhardt and Adolf Harnack, who submitted it to the attention of the international culture. 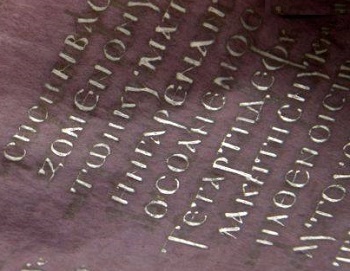 The Codex Purpureus Rossanensis has been recognized by Unesco among the excellent property of the world artistic heritage. 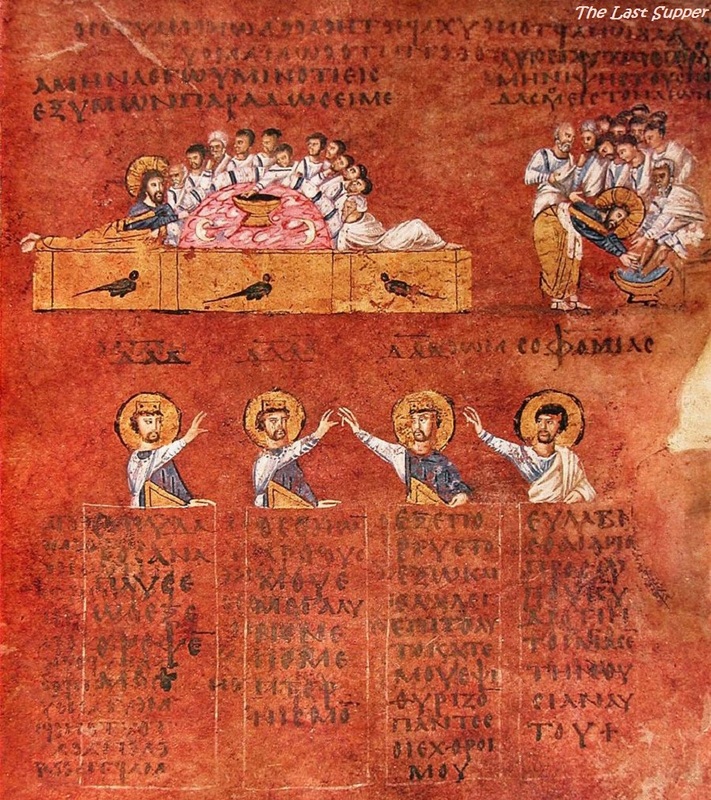 The 'Codex' consist of 188 purple parchment sheets with parts of the Gospel according to St. Mark and the whole of St. Matthew in Greek letters, with twelve miniatures of the life of Jesus. (with no separation of the letters ), without accents, breathings, punctuation marks, except for the full stop-punctum, which marks the passing from a period to the other. A document that has become the symbol of Calabria, a region which was not limited to be only a transit country or a bridge between the two souls of the Mediterranean, but was also instrumental in meditating and translating in summary the eastern/Greek and west/Latin civilizations. 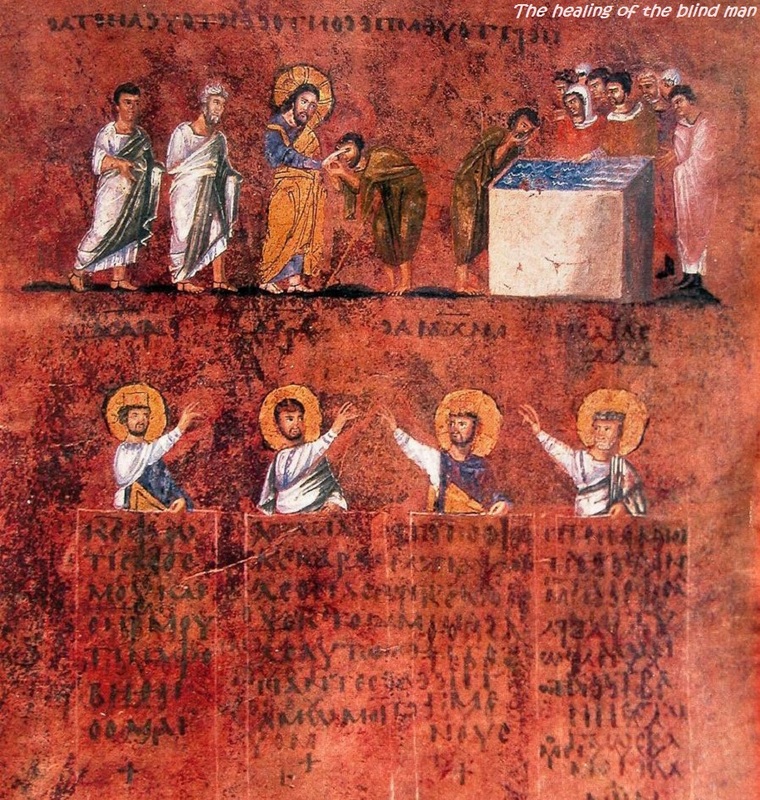 The "Codex Purpureus" is a document unequaled in its extraordinary spiritual content. Benedetto colui che viene nel nome del Signore! 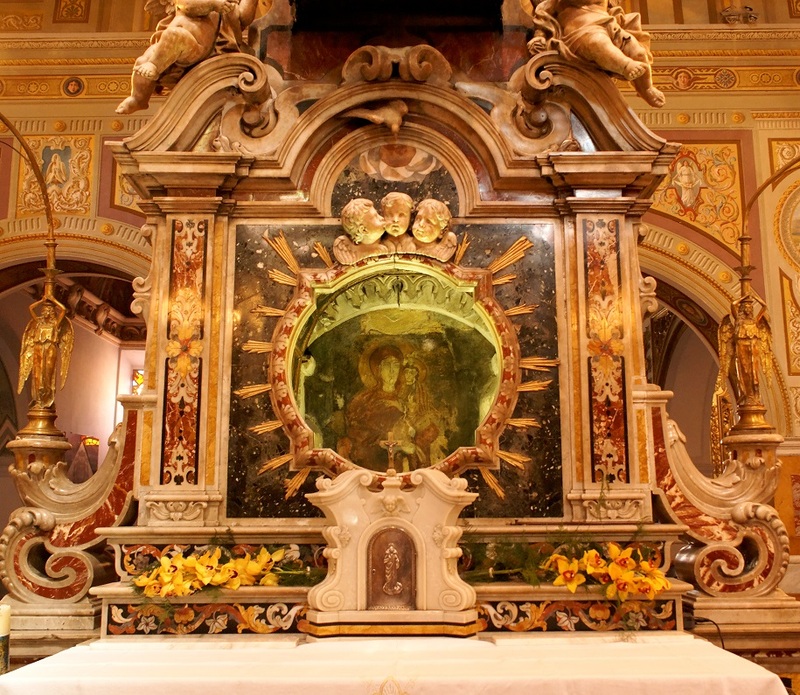 Benedetto il regno che viene, del nostro padre Davide! Osanna nel più alto dei cieli! 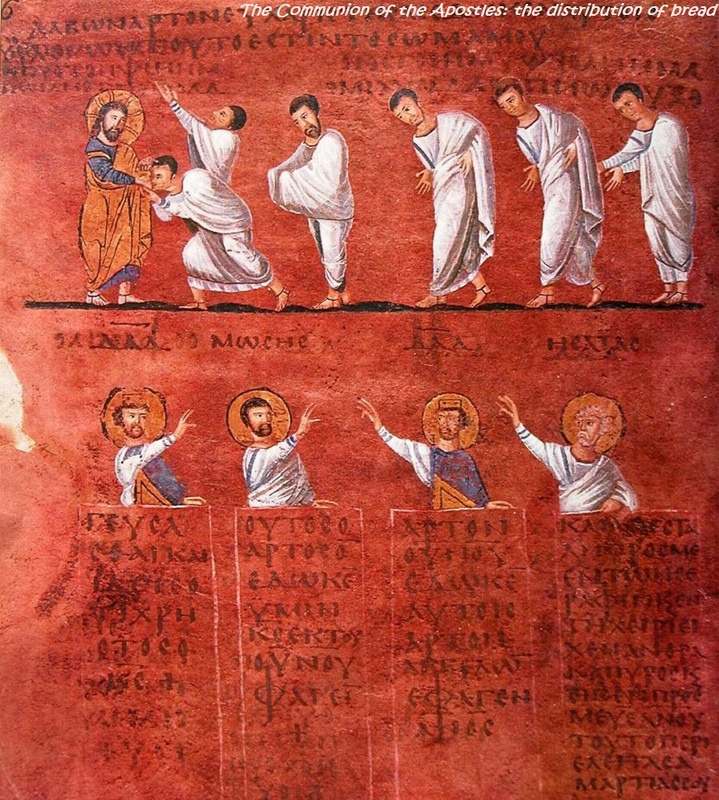 (Marco - XI, 7-10). Blessed is he who comes in the name of the Lord! Blessed is the coming kingdom of our father David! Hosanna in the highest! 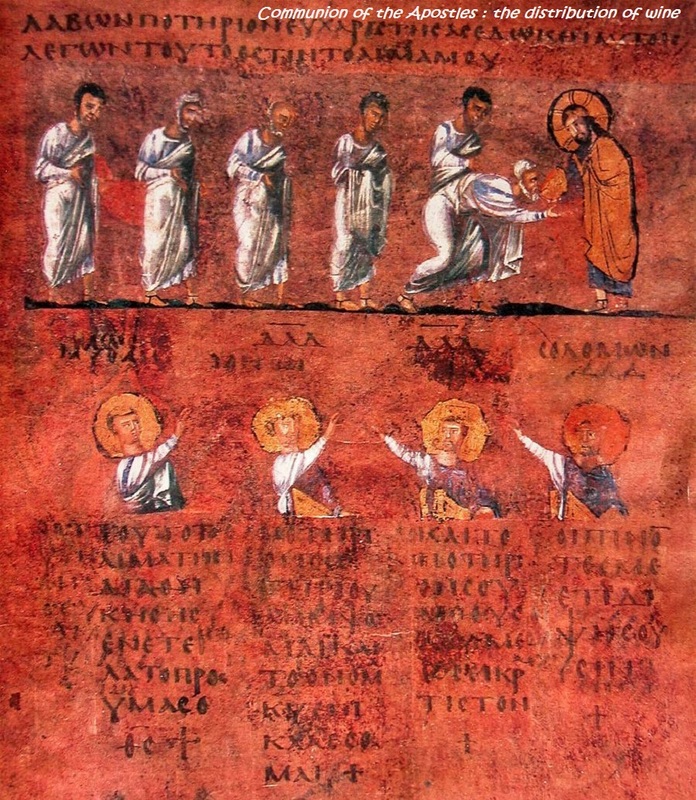 (Mark - XI, 7-10). The scene of "Jesus in Gethsemane" represents two different times: Christ in prayer and Christ who watches the three Apostles. And 'to note the landscape: rocks, above the darkness and as high as the sky. 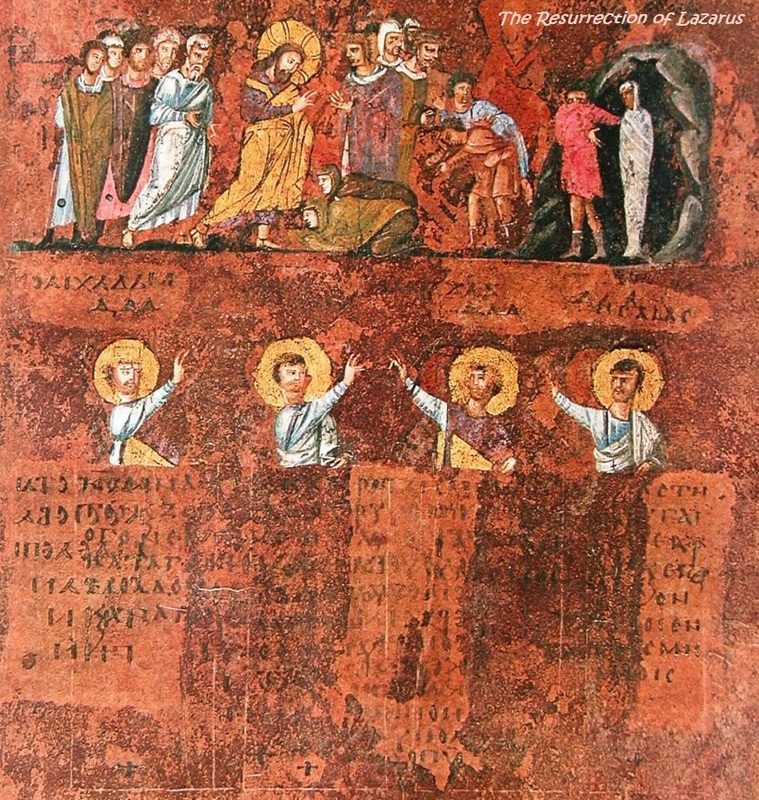 Should note that the restored code presents unclear figures of the three apostles. "The time has come in which the Son of Man will be handed over to sinners. Arise "(Matthew - XVVI, 36-46). - Ecco è giunta l'ora nella quale il figlio dell'uomo sarà consegnato in mano ai peccatori. Alzatevi" (Matteo, XVVI, 36-46). (The Scripture says) My house shall be called a house of prayer but you are making it a den of thieves. Blind and lame people came to him in the Temple, and he healed them. "He left them and went out of the city to Bethany and spent the night there". (Matthew XXI, 12-16). E, lasciateli, uscì fuori dalla città, verso Betania e là trascorse la notte - (Matteo - XXI, 12-16). Lord, lord! Let us in!’ But he replied, ‘I tell you the truth, I do not know you!’ Therefore stay alert, because you do not know the day or the hour” (Matthew 25:1-13). Signore aprici! Ma egli rispose: in verità vi dico: non vi conosco. Vegliate dunque, perché non sapete nè il giorno nè l'ora. 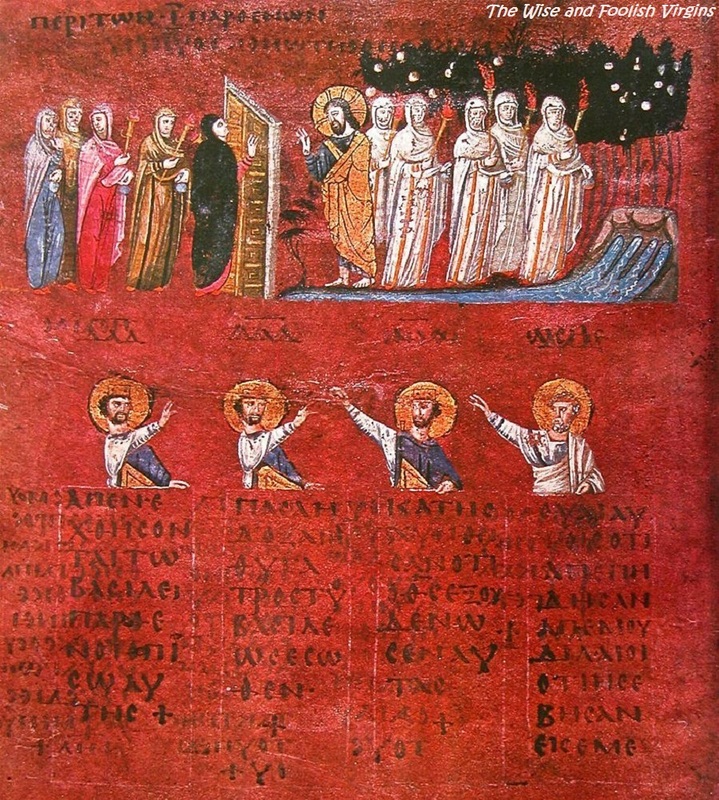 (Matteo XXV, 1-13). But when Jesus heard about it he said, “Lazarus’s sickness will not end in death. No, it happened for the glory of God so that the Son of God will receive glory from this. E detto questo, gridó a gran voce: Lazzaro viene fuori! Il morto uscí, con i piedi e le mani avvolti in bende e il volto coperto da un sudario. Gesú disse loro: "Scioglietelo e lasciatelo andare" (Giovanni 11:1-44). Jesus answered, “You have said so. 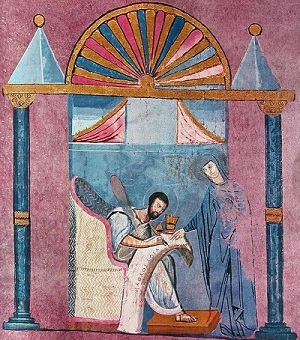 (Mark XIV, 12-20).
" Allora cominciarono a rattristarsi e a dirgli uno dopo l'altro: "Sono forse io?". Ed egli disse loro: "Uno dei dodici, colui che intinge con me nel piatto". " (Marco XIV, 12-20). "Ma ecco, la mano di chi mi tradisce è con me, sulla tavola. Il Figlio dell'uomo se ne va, secondo quanto è stabilito; ma guai a quell'uomo dal quale è tradito! 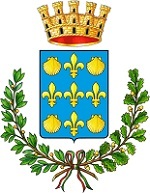 "(Luca XXII, 19-21). Allo stesso modo dopo aver cenato, prese il calice dicendo:"Questo è il calice della nuova alleanza nel mio sangue, che viene versato per voi"
And in saying so, he spit on the ground, made some mud with the saliva, and put it on the man’s eyes. “Go,” he told him, “wash in the Pool of Siloam” . So the man went and washed, and came home seeing. 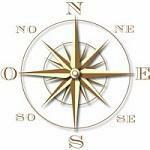 Some Pharisees who heard him say this and asked, “What? Are we blind too?” And Jesus replied : “If you were blind, you would not be guilty of sin; but now that you claim you can see, your guilt remains. “The one who had mercy on him” and Jesus told him “Go and do likewise” ( Luke, 30-35). Chi di questi tre ti sembra sia stato il prossimo di colui che è incappato nei briganti?". "Chi ha avuto compassione di lui", e Gesù gli disse "Va'e fai altrettanto" (Luca, 30-35). The custom of releasing prisoners in Jerusalem at Passover, required Pilate, the roman governor of Judea, to commute one prisoner's death sentence by letting the crowd decide whether to have either Barabbas or Jesus released. The crowd chose Barabbas to be released and Jesus of Nazareth to be crucified. Pilate washed his hands and in front of the crowd stated, "I am innocent of this Man's blood; see to that yourselves." And all the people said, "His blood shall be on us and on our children!" 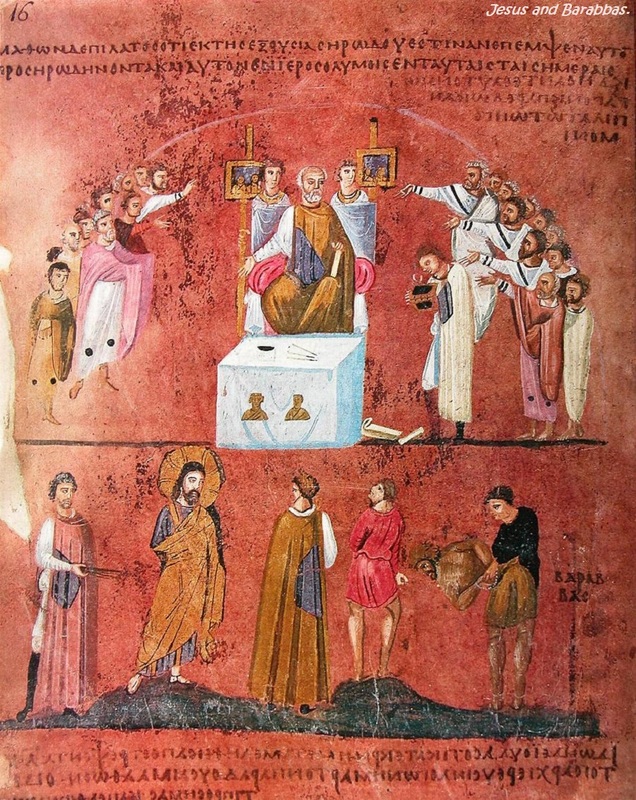 (Luke XXIII, 13-25 ). «Io sono innocente del sangue di questo giusto; pensateci voi». E tutto il popolo rispose: «Il suo sangue ricada su di noi e sui nostri figli». 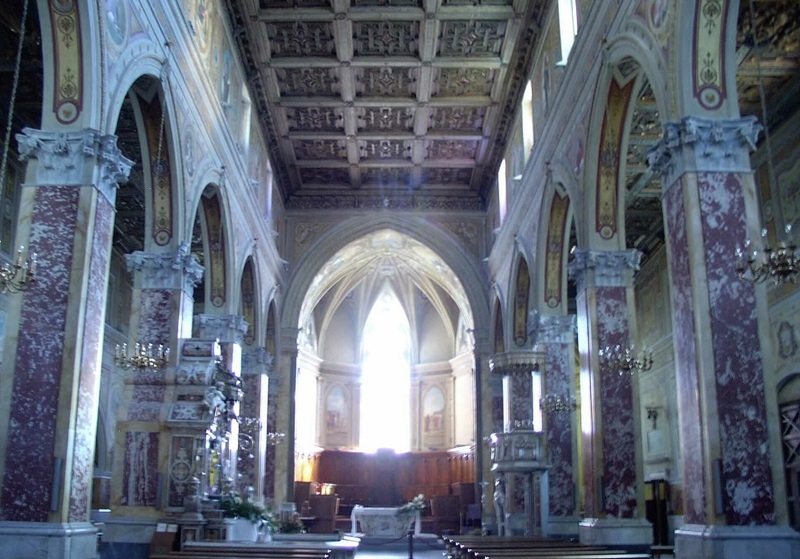 (Luca XXIII, 13-25 ).